Every four years or so I tend to move. House, city and sometimes country. I am a lifelong island hopper, moving from England to Cyprus and back again all too frequently. I have spent a total of eight years living in Cyprus excluding holidays and extended visits. The first time I upped sticks and went to live there I was in my late twenties and fed up with life in London, desperate to escape an unsatisfying job. I was a local newspaper reporter, living in Ealing, working in Uxbridge, tired of the daily commute, parish council meetings, office politics and writing local news. It wasn’t me, I didn’t fit. So, I escaped to Cyprus (though Italy was my first choice), the cheapest and easiest option. I spoke Greek and my parents had a small house on the island, it was a place I knew well from family holidays. I quickly found work as a freelance, writing magazine articles and presenting a radio programme on the island’s culture and traditions. I planned to stay a couple of years, to recharge my batteries before returning to England but I shot myself in the foot. I met and married a native and Cyprus become a permanent fixture in my life. For me, Cyprus is not a sun-kissed paradise. It is far more interesting. As I wrote in my first book it’s a land of incongruous bedfellows. Of fasting and feasting and barbed-wire partitions separating a community that yearns to be one. A land of sunbathing tourists a stone’s throw from armed troops patrolling a line that divides two ethnic communities. A place filled with contradictions and discord, where beautiful colonial buildings, many left to ruin, stand beside architectural eyesores or scruffy building plots; and overstuffed seaside restaurants and their diners are a short walk from bustling food banks were people queue for their staples. Dusty gift shops selling armless Aphrodites rub shoulders with high-priced designer shops and traditional taverns are relegated to the backstreets while the likes of McDonalds colonise the main drag. Living on the island allowed me to explore the backstreets and find the real treasures. 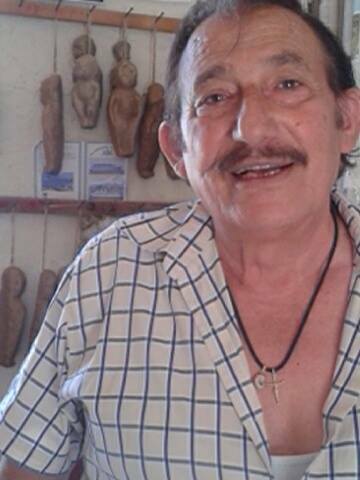 Potters studios and artisan bakers, authentic Cyprus foods and hidden away places known only to the locals, like the creepy little votive candle shop, hung with effigies of babies, heads, hearts and other body parts. These candles, called tamata, are offered to an icon in church as a reminder of the giver’s particular need. So a heart could symbolize a prayer for a broken relationship or a heart problem. The shop made such an impression on me it will definitely feature in my next book. 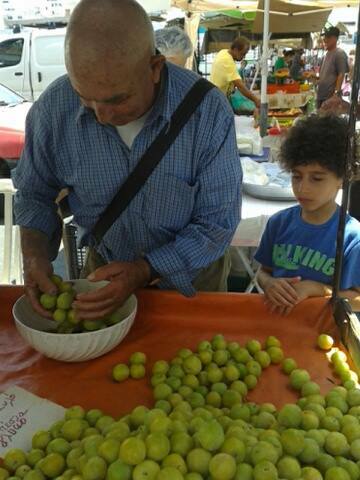 What I like most about Cyprus is the people – the real people and in particular the older generation. The shawled elderly woman in the market selling mountain produce, the sturdy fruit picker with the craggy weather beaten face, the street hawker selling minted yoghurt with a life story that’s the stuff of fiction. Everyone has an interesting story to tell, if you bother to ask and I did and still do. In 2012 my husband’s yearning for his homeland (mark I say his, not mine) led us back to the island. We didn’t go on a whim exactly. On the same day in March that year he was offered a job and a fantastic writing opportunity came my way. 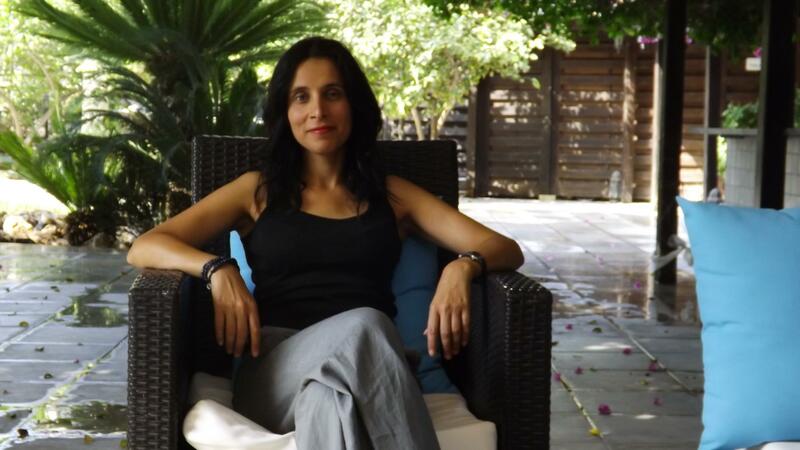 A production company in Cyprus had optioned my third book and was awarded funding to make a feature film. Our move seemed fated and we uprooted two children and a cat and relocated within the space of four months – just like that. We’re not afraid of change and would like to believe that our children will ultimately benefit from exposure to two cultures. For a year, our lives ran smoothly and we spent more quality time together as a family. I finished The Spice Box Letters and set up a writing course, making firm friends with a group of very able writers. We amassed a family of feral cats in the back garden and kept chickens for a short while. I began working with a group of film professionals revising the script and met lots of creative people: authors, poets and food writers. But the good life came to an abrupt end. In March 2013 the island suffered an economic crisis, becoming the first country in the Eurozone to shave bank deposits as part of a 10 billion euro bailout agreement. People’s savings disappeared over night and in the weeks that followed banks closed, businesses went under and wages were cut. My husband’s job went and the film funding was frozen – everything we had come for evaporated within a matter of months. While my husband got on with the job of setting up a business I panicked about the future and where I wanted to be long term. I yearned for the security of home – England – and made plans to leave. Just over a year later I returned to the UK with the children and the cat. At the moment my husband commutes which is far from ideal while I wrestle with guilt – should I have bolted or ridden the storm – should I be here or there? I am now writing my next book set in 1930’s Cyprus, about a British woman who travels to the island to illustrate a travel guide and gets caught up in an uprising against the colonial government. I may not be able to commit to Cyprus as a place that will be home forever but I know I will live there again at some point in my life, that it will always be an intrinsic part of me, that I will continue writing about the island’s beautiful mountain villages and confused cityscape, its cuisine and its tempestuous past, its folklore and traditions, its virtues and evils and the everyday people whose stories are an endless source of inspiration. Thank you to Eve for sharing her own story in this lovely piece. This isn’t a long novel but it’s full of appealing ingredients. The 1980s story of Katerina and that of her grandmother Mariam, author of the letters, are equally engaging (hard to do) and skillfully interwoven to produce not just the compelling story of a family divided by conflict, but the subtle blend of darkness and light which is such a strength of this novel. It is vividly evocative of Cyprus and the horrors of the Armenian genocide which took place one hundred years ago and may be unfamiliar to some readers, as it was to me. The writing is beautiful, engaging all the senses, and the mouthwatering descriptions of food were a delight. There is plenty of warmth and humour to offset the traumatic episodes and the two stories of love against the odds are very sweet and touching without being sentimental. Reading The Spice Box Letters was a journey I didn’t want to end. I am thrilled that Patrick Gale will be joining me on the Literary Sofa next week to talk about the inspiration behind his latest novel A Place called Winter. Eve, it was a pleasure all round! The whole point of Writers on Location is to share a sense of the author’s relationship with place and your post does that incredibly well. I truly did love your novel. Thanks for the good wishes. I’m always childishly excited when I come to your posts, Isabel. 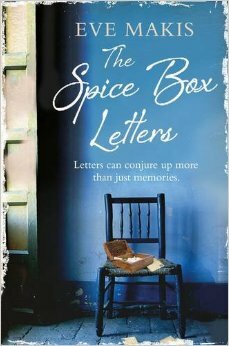 My copy of The Spice Box Letters has arrived today, and I so agree about the wonderfully enticing cover. Eve has described her personal Cyprus so beautifully in this piece, I’m itching to settle down with the novel. I’m also looking forward to learning more about the Armenian genocide – no wonder we know so little about it when the history is still denied by the perpetrators. But it does come up in We Need to Talk about Kevin, if you remember. And Patrick Gale next week! A Place Called Winter is such a moving novel, I’m looking forward to reading what he has to say about the Canadian prairies. And yes, Patrick Gale on my humble sofa. Just wait til you see his piece – another absolute gem!